Steven Ellison hates Superman. “He has too many powers,” Ellison reasons, and it’s “fucked up” that the only thing that can actually kill the hero is a rock found on a foreign planet. Though these criticisms are valid, hearing Ellison’s strong negative opinion of Supes is surprising, since Ellison has a deep attachment to the character’s most fundamental ability: flight. The most obvious sign of this affection is the moniker of Flying Lotus—his 7-year-old electronica project—but that name traces its origins to his subconscious. For a long while, Ellison would experience lucid dreams, with them often beginning the same way. “The first thing I do is I just start flying,” says the mostly taciturn, occasionally effusive musician. True to that spirit, Flying Lotus’ work is always aiming upward. It wants to take creator and listener alike to a higher mental state (metaphorically and literally; Ellison is an unabashed pot lover) and a platform where music is food for both mind and body without feeling like a compromise. The Los Angeles-based 28-year-old has wooed critics and devout fans through his taste for experimental jazz flourishes (a fitting move, as he’s the great-nephew of avant-garde jazz musician Alice Coltrane), synthesized harmonies as placid and sweet as wind chimes, and beats that have a subtle, amber-colored translucence to them. 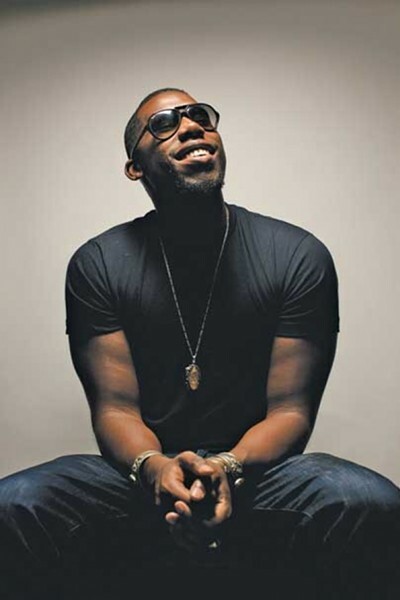 Flying Lotus is signed to intellectually ambitious label Warp, has remixed Frank Ocean and RJD2, and has collaborated with Beck, Thom Yorke and Erykah Badu. But by the same token, this pivotal name in post-2010 up-from-the-underground electronica has tinkered with rugged, grinding dubstep; remixed songs by pointedly nonbrainy rappers Lil Wayne and Gucci Mane; and implemented the rowdy club banger Waka Flocka Flame’s “Hard in Da Paint” into his live set. Ellison is into the idea of bridging ambient music and hip-hop, and the key tool he uses to do this in his own music is texture. “Mystical” is an excellent word to bring in for Flying Lotus because a magical je ne sais quoi is sprinkled over both this record’s spirit and Ellison’s focus on detail. While answering a question about how his perspective as a music maker has evolved over the years, he talks about the change with the awestruck quality of someone who has had an epiphany. Friday, Oct. 19, 9 p.m.